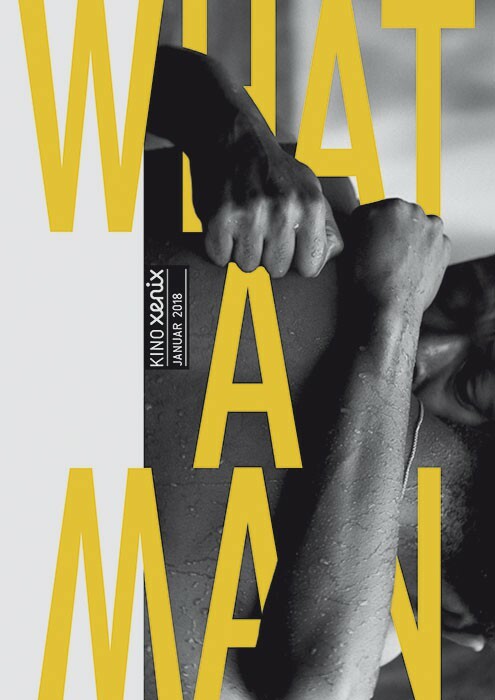 Poster for a movie series at the Xenix cinema dedicated to masculine images, counter-images and stereotypes. The choosen image (Moonlight, 2016) shows physical strength, sexuality and a moment of emotionality, softness and intimacy between two men at a time. The moment of embracement is increased by the interweaved typography.